Nordic Pure's air filters are pleated and electrostatically charged and have a high efficiency rating. The electrostatic charge of the air filters works as a magnet and draw airborne particles to them. This helps protect your family from pollen, fine dust, tobacco and cooking smoke, airborne plant spores, bacteria and some viruses. 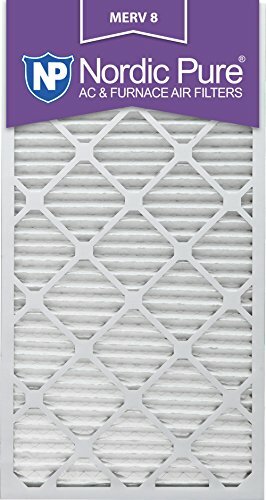 Our non-woven synthetic filter media will not support the growth of mold or bacteria, keeping your home healthier.